Suggie has found a new favorite sport. 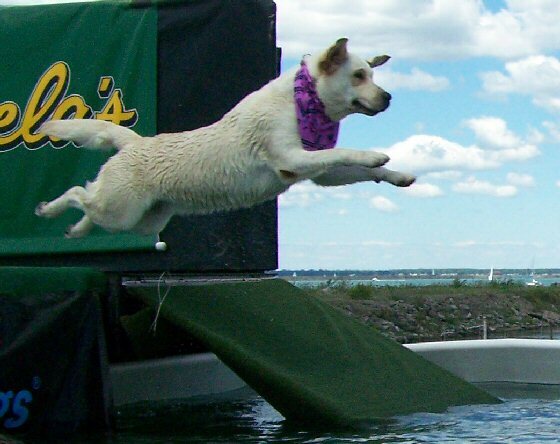 It's Dock Diving! Here she is at her very first try at it. This is her second dive. 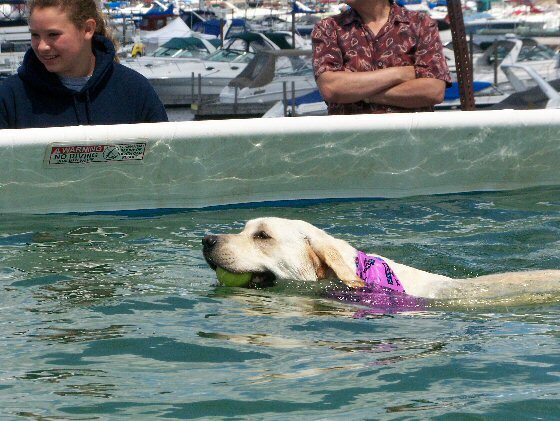 The competition was held at the Buffalo Harbor. Suggie Came in ninth and was awarded two medals. We all had a great time. We had no idea what to expect or if we would be able to sign up. We just grabbed Suggie left. We were glad to know that we could sign her up that day. We were then allowed a couple practice jumps and then the competition. We love it! 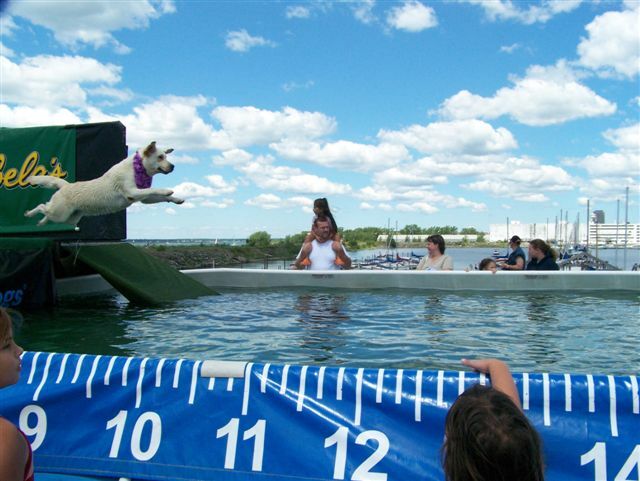 Dock Diving is a very relaxed sport for the dogs. There is no presure and the people from Carbela's were friendly and helpful. They explained to us novice folks how everything works and the rules of the competition. We all had a wonderful time. What a great sport! We are looking forward to putting some other dogs in the next competition. 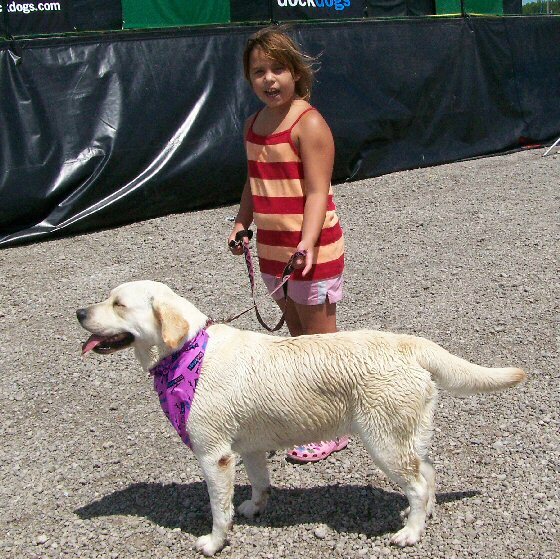 Karley waits with Suggie while mom meets with the newby's to get the rules of Dock Diving. Here's the whole picture. Her longest jump was over 12'. Check out that smile on her face!